This year was my first trip to WPPI (Wedding and Portrait Photographers International). It is an annual conference and tradeshow that takes place at the MGM Grand Hotel and Casino in Las Vegas, Nevada that brings many of the top wedding and portrait photographers and photography vendors from around the world all under one roof. On this trip to Las Vegas, I brought along my wife and kids and we stayed at the Flamingo Hotel, which is a 15-20 minute walk from the WPPI conference. I only attended the tradeshow thanks to a pair of free tickets I received for being a Westcott email newsletter subscriber. I didn’t sign up for any of the WPPI workshops, but wish I had. Nonetheless, the tradeshow experience was edifying, which gave me an opportunity to see, touch, and try many of the photographic products and services on my wish-list. Here’s a list of Las Vegas travel tips for anyone who has not attended WPPI before. I hope these Las Vegas travel tips will make your trip to Las Vegas enjoyable and budget-friendly. I compiled these tips upon reflection of my own experience attending WPPI, as well as learnings from past trips to Las Vegas. 1. Where to Stay in Vegas for WPPI? If you want to stay close to the action, use the WPPI special rate discount to book your hotel close to the conference and expo. If being close to the conference isn’t a priority, there are a large number of other options. Where you decide to stay depends on personal preferences and your budget. If you want to be near the central area of the Vegas Strip, consider hotels such as the Flamingo, Caesar’s Palace, Bellagio, Harrah’s, Paris, The Mandarin, etc. However, if you’ve been to Vegas before, or you simply don’t care about the Vegas strip, I highly recommend looking at hotels that are off the Strip. Nightly rates can sometimes be better, and these hotel tend to feel a little less crowded. One good option is the Westin Las Vegas, which is very central and just a block off the Strip. I didn’t stay there on my trip, but I went there to pick up my car rental and found the hotel to be very appealing, especially for families. You may want to consider staying even further away if you can get a good deal on a hotel room. You can use those savings to rent a car and drive to the conference. 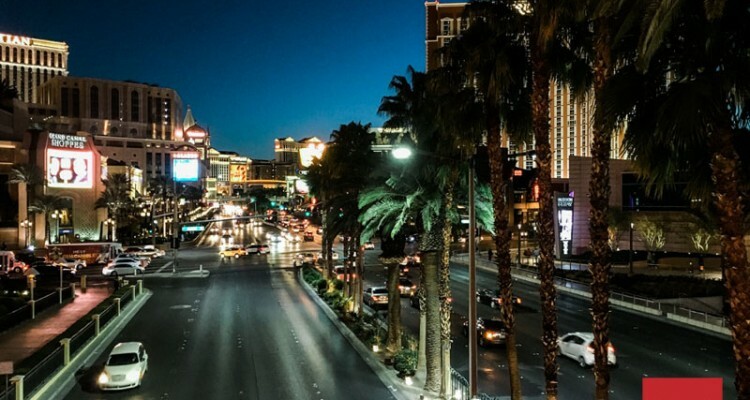 With a rental car, you’ll be visit places outside the Vegas Strip as well. Parking is usually free at Hotels, but unless you arrive early in the day, you may be driving around the parking lot a for a while before you’re able to find a spot. This is one of the most common questions, so I’ve turned it into one of my key Las Vegas travel tips. If you don’t have a tour operator who has prearranged your hotel transfer, it can be a bit of a mystery what is the better and/or cheaper option to get you from McCarran Airport to your hotel. The folks at WPPI usually offer prearranged discounts for conference attendees with one or more shuttle companies in Las Vegas (e.g. Showtime Tours). Although the rates may change from year to year, the cost is usually much less than a taxi if you are travelling individually. So if you are travelling individually, your hotel is on or near the Strip, and you don’t mind waiting while the shuttle drops of other riders before arriving at your hotel, the shuttle will likely be the cheaper option for you. When pre-purchasing your shuttle ticket online (which is how you get the WPPI discount), you may only see a limited number of hotels on the drop-off list. However, a quick email to Showtime Tours (or whomever WPPI is providing discounts with) will allow you to add your hotel to the list of drop off locations. If you are travelling with more than two people (or even children over 3 years old), the cost of a shuttle will often be more than the cost of a taxi. You can get a taxi fare estimate for your transfer from McCarran airport to your hotel by visit the Taxi Fare Finder website. Note that by Nevada law, taxi drivers must always take the most direct route to your destination, so if you feel that your driver isn’t following the rules or your fare is looking way above this online fare finder, don’t be afraid to speak up. If your hotel is on the Strip, one way to avoid a bloated fare is to tell your driver “don’t take the tunnel” before you jump into the cab. That will give him or her the hint that you’ve done your homework, and you’ll be less likely to be overcharged. One more note about taking a taxi from the airport. During busy periods, it is highly likely that there will be a long queue. When we arrived in Vegas, we were one of the last people to go through US customs (we flew in from Vancouver, BC), so by the time we exited the terminal, most of the crowd in front of us had already left. For us, that meant there wasn’t much of a taxi queue to deal with, which was such a relief. If you are not renting a car and want to travel around the Vegas Strip, get a discounted multi-day Las Vegas Monorail pass. As an attendee, you can save a few dollars off the pass, but it’s well worth it even at full price. Be aware that there are a limited number of monorail stations. It doesn’t go to every hotel along the Strip, so if you’re not staying near one of the stations, you may be in for a long walk. 4. Save Money, Eat off the Strip or use a Food Court, Fast Food, or a Drugstore. Let’s be real. Food in Las Vegas is expensive. Unless you’re getting Casino comps on a regular basis, the cost of restaurants and buffets can blow your budget in a hurry. We rented a car on this trip, so we were able to have many of our meals off the Strip, where the prices seem a little more budget friendly. For breakfast, the Flamingo Hotel provided meal vouchers of up to $18 per day (or $9 per adult), which saved us a little (well, not really since we were also paying around $32 per night for their resort fee when we didn’t even use their resort facilities while we were there, but that’s a topic for another day). However, let me warn you that $9 per person for breakfast is not much – you’ll only be able to get a muffin and a large coffee for that amount. For lunch, consider using the food courts, or find a Chipotle down the strip near Harrah’s. One evening, we dinner at the Fashion Show Mall food court, which offered good prices and was not as busy as some other locations on the Strip. There are also numerous other restaurants far off the Strip, but you’ll need a car or taxi to access them. One evening, we drove to Chinatown and had a complete dinner for four for about same the price of one buffet pass at a Hotel on the Strip. If you like buffets, consider going downtown to Fremont Street. Some of the cheapest Vegas buffets are in this area. Visit The Paradise Buffet at the Fremont Hotel & Casino (buffet dinner from $15.49*), the Buffet at the Golden Nugget Hotel (M-W dinner is $20.99), or the Garden Court Buffet (dinner from $11.99*) inside the Main Street Station Hotel & Casino. We saved a ton by not purchasing food items from our hotel. For water and snacks, we visited a local CVS (across from the Fashion Mall). There are many Walgreen locations along the strip as well, but CVS had slightly better prices on the things we needed during this trip. 5. Sign up for Photo Walks or Classes! This is one thing I wish I had been able to do on my first visit to WPPI. There are a long list of excellent classes and photo walks. Some of them are offered at a discount if you book them online before the start of the conference. There are over 250 exhibitors at WPPI, and several of them offer daily presentations and demonstrations, so plan to spend a lot of time visiting them all. Some of the most popular exhibits in 2016 were the Canon Profoto, Nikon, and Sony. Some of the talks they scheduled were standing room only, so arrive early if you want to get a seat. Some exhibitors gave away chachkas as well as useful items like Lowepro CF card wallets (thanks to Sandisk! ), so be prepared to walk out with a lot of little goodies as well as reading materials. 7. Bring Your Camera or Lenses for Cleaning or Repairs! Canon and Nikon had cleaning and repair technicians at the tradeshow, so if you need work done on your camera gear, you may want to bring it along. You also be able to talk to their technicians about your equipment, so bring your questions as well. The Conference and Expo take up a large area, and convention venues are often larger than they seem on maps or photos. You’ll be doing a lot of walking during the tradeshow, not to mention any Photo Walks you may want to sign up for, so bring comfortable shoes for lots of walking and standing around. WPPI is usually held in the winter, so Vegas temperatures are mild compared to the boiling summer season. You won’t need to or want to wear sandals, and you may even want to bring a jacket along. Whatever you choose, dress comfortably, but also dress well. Remember that you represent your business, and you may even be rubbing shoulders with your favourite photographers and other businesses, so also keep that in mind as you pick your conference wardrobe.